Don't miss this gem! 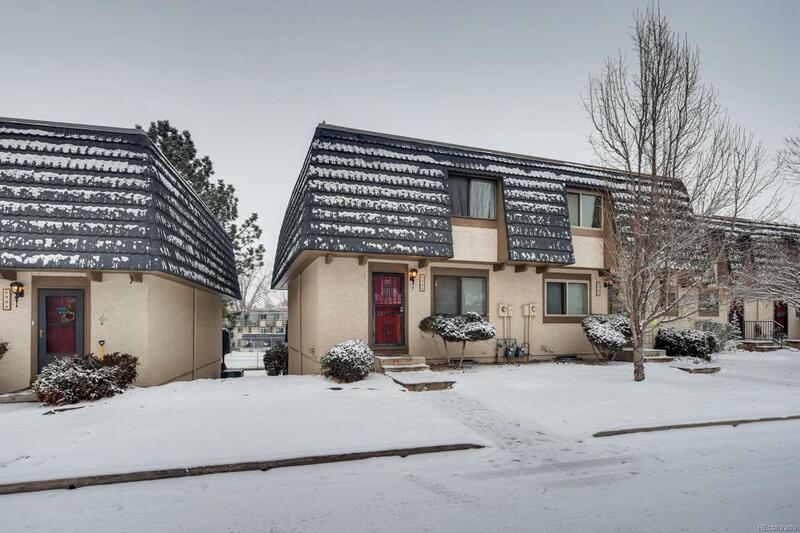 Come see this updated 3 bedroom town home, ideally located within walking distance of Southglenn, Highline Canal Trail, Historic Downtown Littleton, AND light rail. Open the front door and notice the gleaming hardwood flooring and modernized stairway banisters, then make your way to the sunny kitchen with sliding door to the back patio - great for small gatherings or just relaxing! Upstairs you'll find the spacious master suite and two other bedrooms. The wonderful finished walk-out basement with a fireplace and a wet bar offers the perfect solution for expanded living space! This quiet community's amenities include a private community pool, tennis court, playground, picnic area, maintained landscaping, and mature trees. MUST SEE!